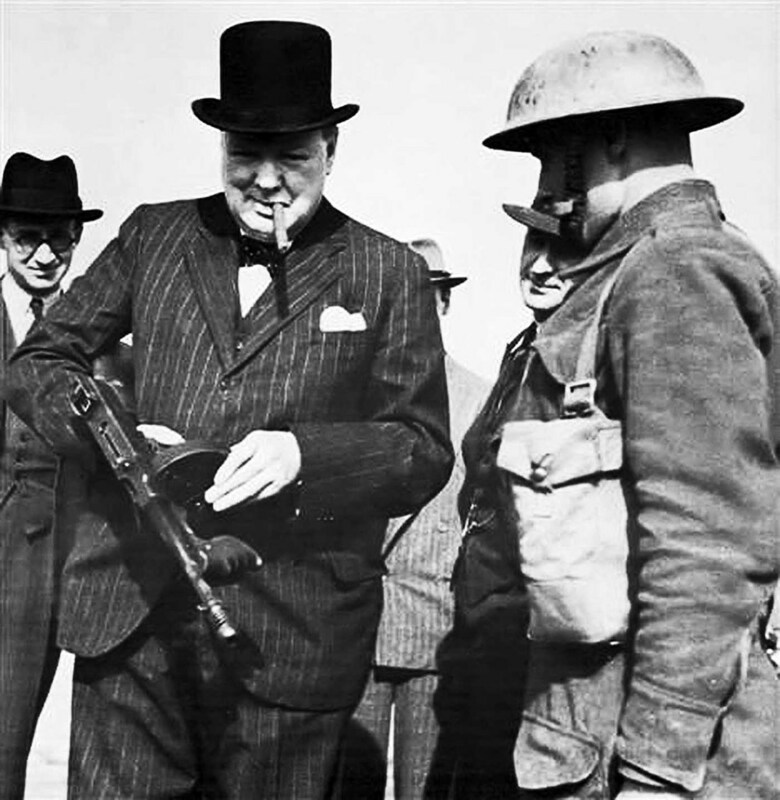 The short-barreled version of the Thompson was Winston’s personal favorite weapon. The image was used to promote and demote. This photo was taken during in during an inspection of invasion defenses near Hartlepool, on July 21, 1940.